In the early evening of Tuesday, April 2, 2019, Margaret Maxine Taylor heard the call of her Heavenly Father to come home. In the midst of our grief, we her family remember her with joy and we are so grateful for a life well lived. Margaret passed peacefully at Paradise Villa, surrounded by her loving family. She was 96. Born in Vanceboro, Maine, on March 13, 1923, she was a daughter of the late William and Blanche (Mundie) Clendenning. Margaret loved her Faith Family and always looked forward to attending services at Hope City (formerly Sunset Church). She remained active in her church until her health began to fail. Margaret was a well respected and much-loved employee at the former Victoria Public and DECH Hospital for many years. In her leisure time she enjoyed going for long walks taking in the beauty of nature at it’s best. Margaret would never pass up an opportunity to go for a drive whether it be with family or friends. Just getting out was a real treat for her. She found great peace and contentment just sitting back in her favorite chair and reading. All these adventures kept her spirit young and alive. While a resident of Paradise Villa she thoroughly enjoyed the interaction she had with the residents and staff. The activities whether it be bingo, birthday parties or occasional visits from former staff members always brought Margaret great joy. It was home to her where her physical, mental and spiritual needs were met with dignity and grace and always added to her quality of life. Margaret was devoted to her family and she loved each one dearly. She will be lovingly remembered by her daughter Donna Johnston (Arnold) of Fredericton and their two sons, Kevin (Jillian) of Douglas and Kendall (Kris) of New Maryland; also, by her son Eugene Taylor (Bonnie) of Lincoln, NB and Eugene’s sons, Derek (Paola) and Darren (Cloremice) both of Montreal. Margaret is also survived by a granddaughter, Krista Gilbey of NS as well as great-grandchildren, Emma, Tyson, Karlee, Jenna, Samantha, Olivia, Alexander, Lauryn, Alysson, Charlee, Kate and Lauren. 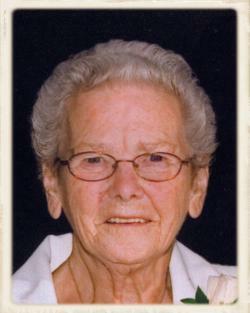 She also leaves behind a sister-in-law, Maxine O’Donnell of Fredericton; nieces and nephews. Aside from her parents and husband George W. Taylor (2007), she was predeceased by a sister, Chrissie Beers and brothers Owen and Kelsey Clendenning and a daughter-in-law, Sandra Taylor (2013). Visitation will be held at Hope City, 429 Clements Dr., Fredericton on Wednesday, April 10, 2019 from 12:00 PM to 1:45 PM followed by a service celebrating the life of Margaret Taylor at 2:00 PM. Rev. Joe Beesley will officiate assisted by Rev. Greg Pyne. Interment will be held in the Dayton Cemetery later this Spring. For those who wish to remember Margaret by way of a memorial contribution, the family suggests donating to Hope City Youth Fund or a favorite charity of your choice.